One-tube latex inflation bladders and palm style manometer in a compact storage tray. 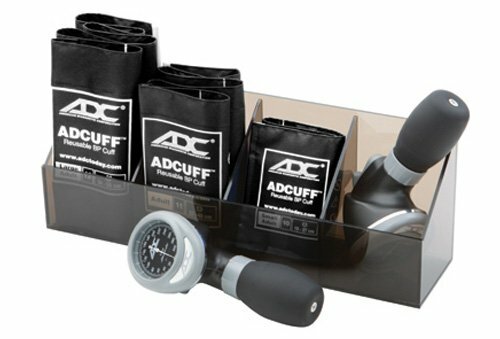 705GPK features a Small Adult, Adult, and Large Adult Adcuff calibrated nylon cuffs. Assembled, inspected, and packaged in the USA from foreign components.